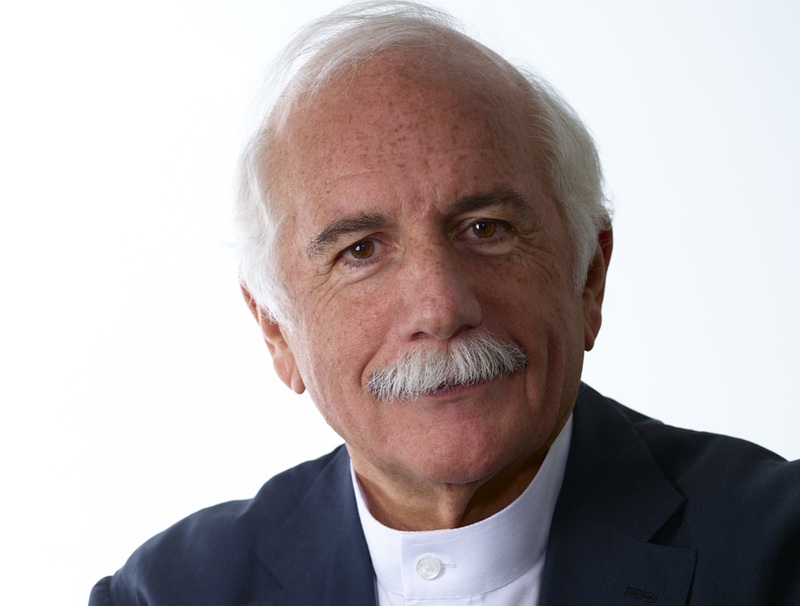 Moshe Safdie has won the 2019 Wolf Prize for Architecture, an award given out about every three years by the Wolf Foundation. The Israeli nonprofit gives out six prizes annually for agriculture, arts, chemistry, mathematics, medicine, and physics. The arts award recognizes a winner in either painting, music, sculpture, or architecture. Recent winners for architecture include Phyllis Lambert, Eduardo Souto de Moura, David Chipperfield, and Peter Eisenman. The award citation praised Safdie's "career motivated by the social concerns of architecture and formal experimentation," and recognized Montreal's Habitat '67 along with "the National Gallery of Canada in Ottawa, the Harvard Rosovsky Hall in Cambridge, Massachusetts, Exploration Place in Wichita, Kansas, the National Library of Israel and the Yad Vashem Holocaust History Museum in Jerusalem." Much of the Safdie Architects' current work comprises large-scale residential towers that formally echo Habitat's modularity on a much larger scale. Winners of Wolf Prizes receive $100,000. 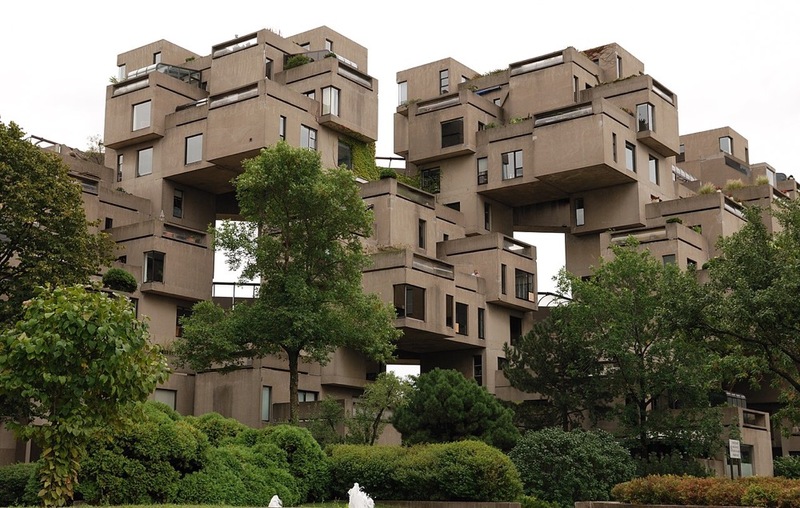 Moshe Safdie, the global architect behind iconic projects such as the Habitat 67 prefabricated housing complex in Montreal and many others, will be giving a keynote presentation at the 2019 Modernism Week symposium in Palm Springs, California. 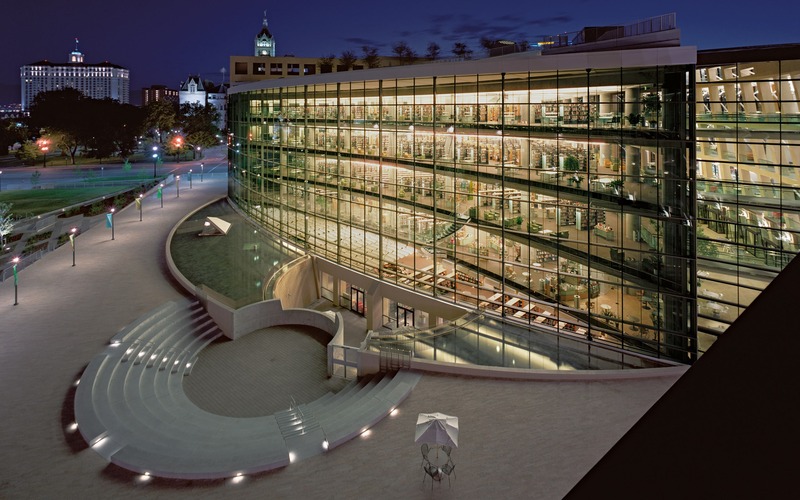 Safdie’s over-50-year-long career began at the age of 26 when he was commissioned to build a version of a McGill University thesis project in Montreal. 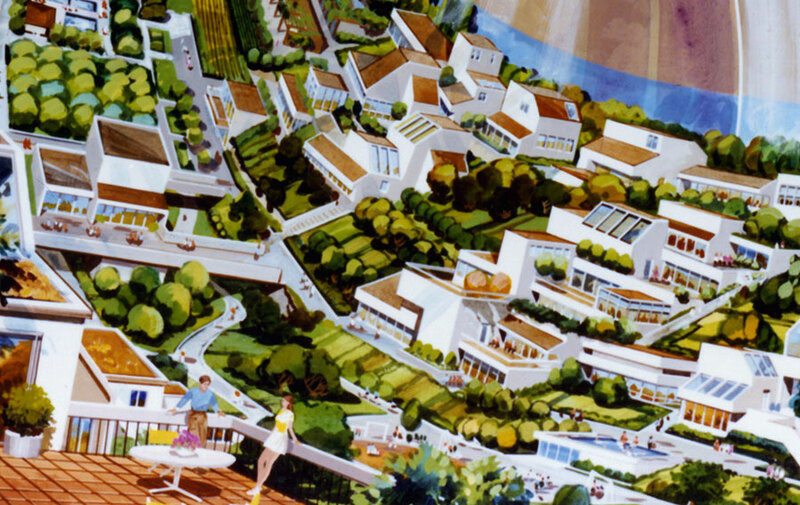 Built in conjunction with the city’s Expo 67 world's fair, the 146-unit garden apartment complex envisioned a way of melding suburban and urban housing typologies that catapulted the architect onto the world stage. Safdie Architects has realized over 75 buildings in the years since, including the Marina Bay Sands resort in Singapore that is made up of three 55-story towers topped by a massive elevated park. 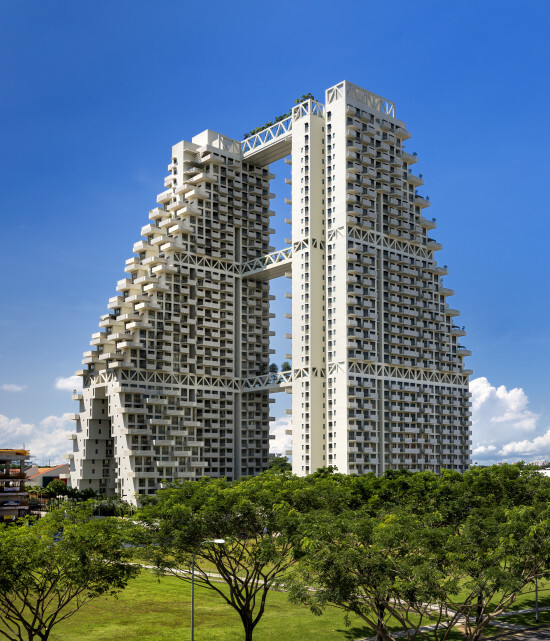 Safdie is also responsible for Sky Habitat Singapore, a dramatic 590-unit condominium complex organized as a pair of stepped and interlinked towers studded with projecting balconies. Safdie’s office is set to complete three key projects this year, including the Jewel Changi Airport in Singapore, the Altair Residences in Colombo, Sri Lanka, and the massive mixed-use project Raffles City Chongqing in Chongqing, China. 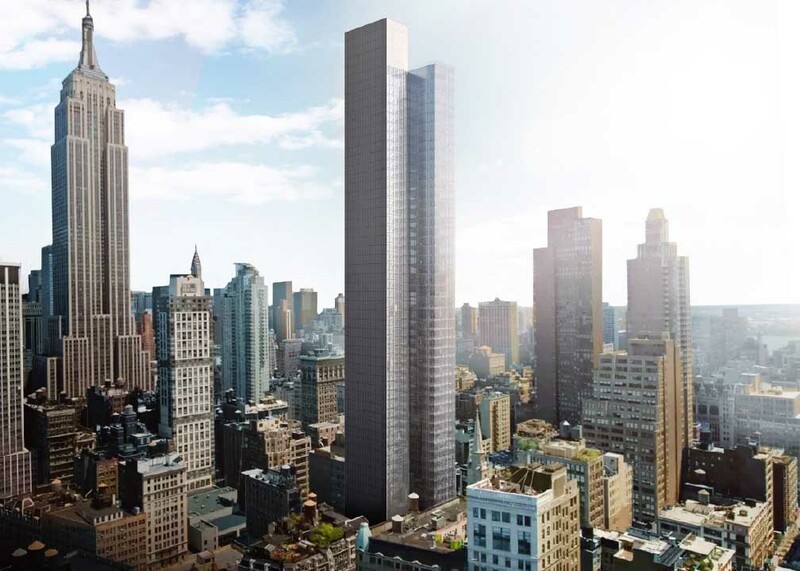 For the latter project, the architect has designed a series of six tapered towers that rise up to 1,450 feet in height and are connected by a 1/4-mile-long conservatory raised more than 800 feet off the ground. Safdie’s keynote lecture in Palm Springs is scheduled for February 16 at the Annenberg Theater in the Palm Springs Art Museum. For more information on the lecture, see the event page here. 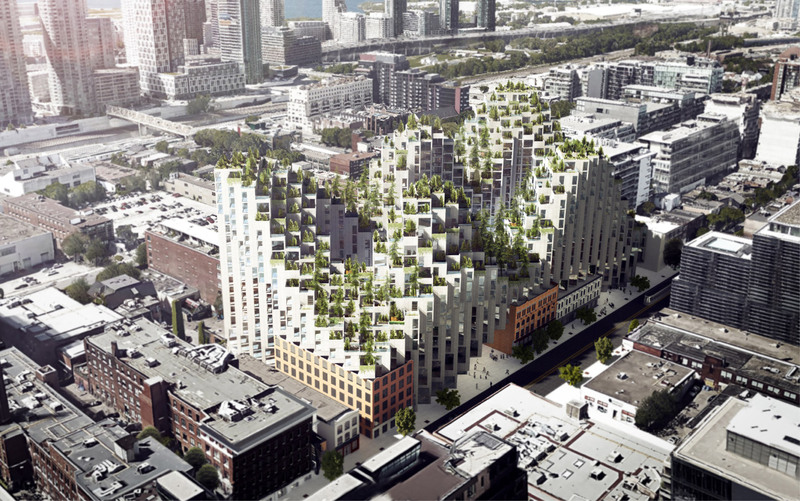 Moshe Safdie is designing a new library for Boise, Idaho. Yesterday, the Boise City Council approved a three-month contract with Safdie's firm, Safdie Architects, to come up with a concept design for the 150,000-square-foot public library. The building will be sited on the same five-acre parcel as the existing library, a converted 1940s hardware warehouse. The stacks and related programming will take up the bulk of the new structure, but the building will also include roughly 20,000 square feet of public events space and 20,000 square feet for Boise's Arts and History Department. The initial contract, valued at almost $400,000, would cover preliminary designs, which may include proposals for reusing the existing library building. The total budget for the project is around $60 to $70 million, money that would come from fundraising and public financing, the Idaho Statesman reported. “The City of Boise has a clear vision for how the new Boise Library can be a gateway to the city,” said Moshe Safdie, in a city-issued press release. “The building program, the public engagement process, and the site itself, will be the foundation of a design solution unique to Boise, one that reflects its highest aspirations and values as a community.” Safdie is no stranger to the Heartland. His practice designed a public library in Salt Lake City, Utah, a science museum in Wichita, Kansas, and a performing arts center in Kansas City, Missori. If all goes according to plan, Safdie Architects will work with local firm CSHQA on the Boise building, which should be complete in late 2021. There are no designs available at this time. Voters in Kansas City overwhelmingly approved a new $1 billion plan on Tuesday to transform the Kansas City International Airport (KCI). Passed by a 75-to-25 margin, work now begins on tearing down the existing three terminals and consolidating the airport into one building. 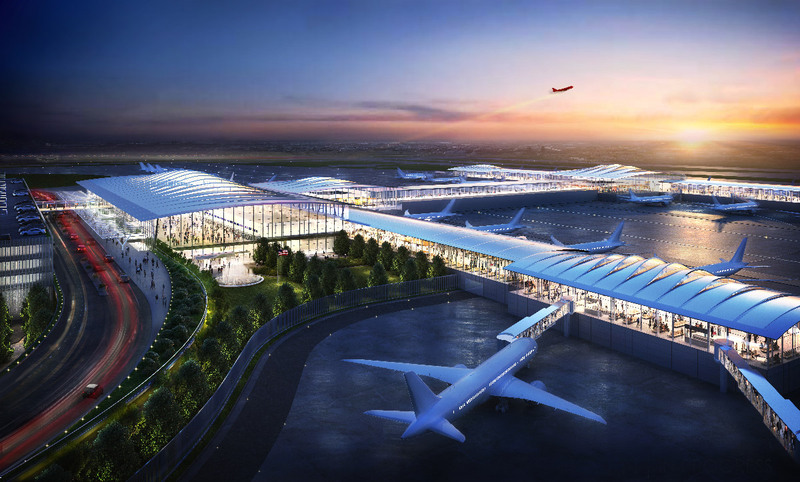 Leading up to the vote, Maryland-based Edgemoor Infrastructure & Real Estate had been tapped by Kansas City officials to develop the airport, with Skidmore, Owings & Merrill (SOM) designing. Opened in 1972, the clover-shaped KSI was almost immediately made obsolete in the same year by the passage of new airport security requirements. The horseshoe arrangement allows passengers to easily get from the street to the gate, but also precludes the rigorous security checkpoints that modern airports require. Public opinion over the terminals has been sharply divided ever since the installation of an unwieldy glass wall between the ticketing and boarding area, required by the FAA after a hijacking attempt. SOM’s proposal for the airport has tried to keep the same level of convenience that Kansas City residents are used to. Their H-shaped terminal will have two concourses and accommodate 35 gates, and the arrivals and departure area has been split across different levels while still retaining curbside service. An improved arrangement of dining and retail options has been added as well, especially important as the project will be funded in part by concessions sales. Most striking is the firm's attempt to bring natural light into the concrete-topped concourse. Floor-to-ceiling windows and an undulating roof structure that references rolling hills is split up with even more glass that will give passengers uninterrupted views. Besides adding parking and expanding the size of security areas to avoid a passenger backlog, SOM has also included a series of two-story-tall fountains capable of having messages projected into them, reminiscent of Safdie Architect’s Water Vortex in Singapore’s Changi Airport. 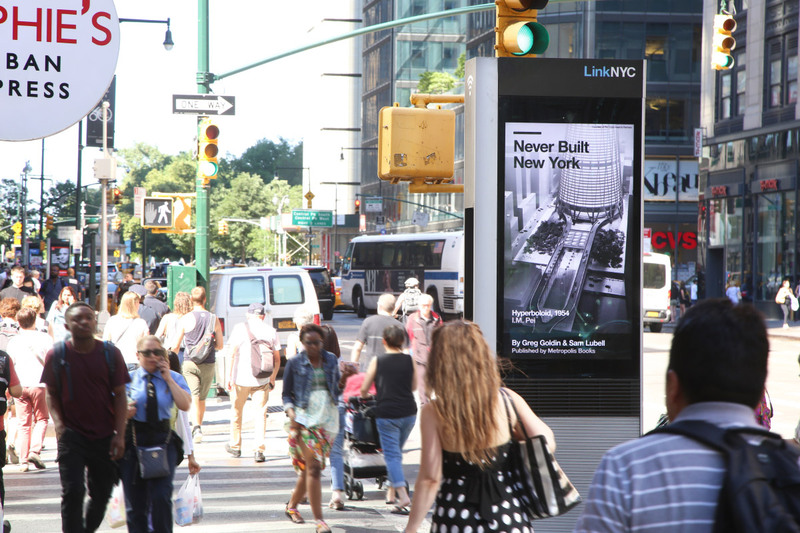 However, the project may be still tenuous despite the project’s 2021 completion goal. Edgemoor had been selected by the city after promising to pay for the project by taking on private debt without burdening taxpayers, but this also exposes them to bearing any cost overruns down the line. The firm now has to complete a detailed construction agreement with the city or the project will be handed off to AECOM. The airport vote follows a riverfront master plan unveiled in July, and it looks like new development in Kansas City won’t slow down anytime soon. The full terminal master plan and set of site studies can be found here. Today precisely marks the 50th anniversary of Expo 67 in Montreal, the renowned world's fair that captured the creative spirit of late 20th-century architecture and design. 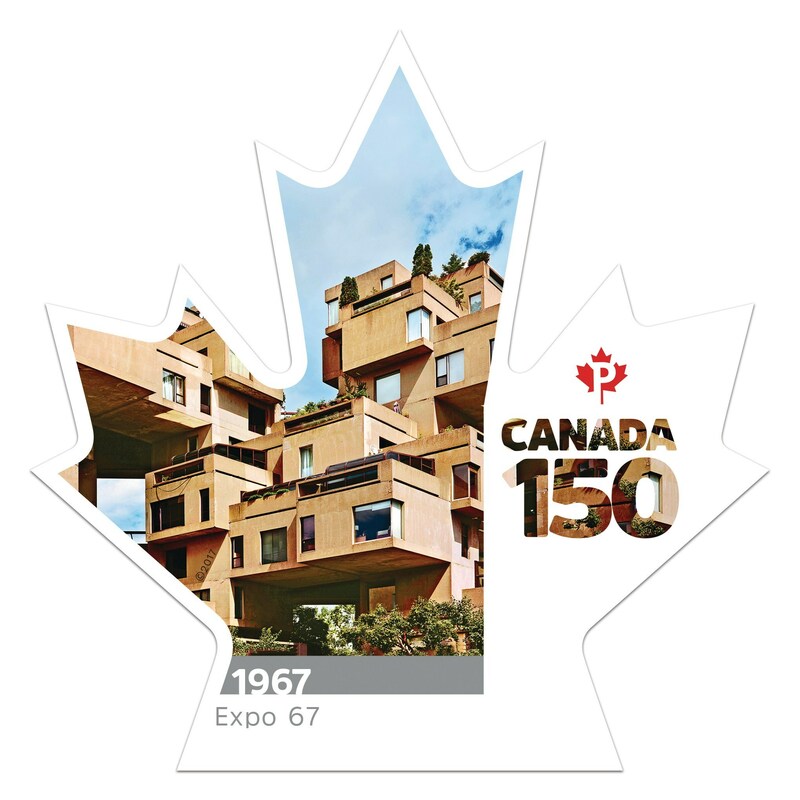 To commemorate the occasion, Canada Post and architect Moshe Safdie unveiled a stamp which features the image of Habitat 67, the experimental urban housing project that was built for expo’s living exhibition. Since 1967, the model community has become an icon of Canadian identity and was officially designated as a National Heritage Site. This, however, is not the first time that Habitat 67 has made its way into the realm of memorabilia. Back in 2012 it won and online competition to be manufactured as a LEGO replica set, though to the dismay of its fans, production of the miniatures never materialized. The stamp is the first in a series of ten that celebrate the sesquicentennial (150-year) anniversary of Canada. The event also coincides with Habitat ‘67 vers l’avenir / The Shape of Things to Come an exhibition of Safdie's work at the Université du Québec à Montréal (UQAM) Centre de Design, on view from June 1 to August 13, 2017. 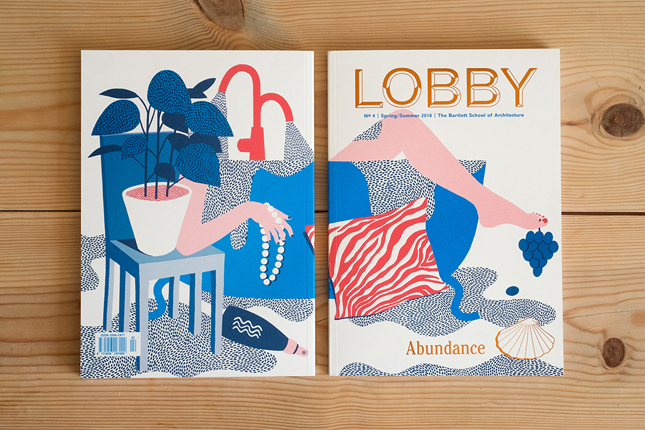 University College of London’s Bartlett School of Architecture’s fourth installment of its student-run magazine, LOBBY, hits shelves this week. The bright and glossy quarterly is named after the school’s primary exhibition/gathering space, however, it also embodies that word’s meaning as a verb, as in “to lobby.” While the publication aims to increase the relevance of architectural dialogue, it also tries to broader its scope by covering topics normally at the fringe of the profession and discipline: this issue alone has articles on Tinder, the UK housing crisis, trash, the architectural consequences of internet and data, and Michael Jackson’s Neverland Ranch. In fact, LOBBY invites submissions from anyone who can hew to its broad themes. The publication also features interviews from prominent figures—this issue features interviews with Denise Scott Brown and Moshe Safdie—and employs slick graphics and colorful layouts. LOBBY No. 4, “Abundance,” picks up where last Winter’s “Defiance” issue left off by surveying a topic architecture students and recent graduates today know well: doing more with less in a time of austerity. After releasing first-look images of the new issue to The Architect's Newspaper, LOBBY Editor-In-Chief Regner Ramos said via email, “With this issue one of the things we were asking ourselves was, how can we reinvent our world and create abundance out of our current shortages? 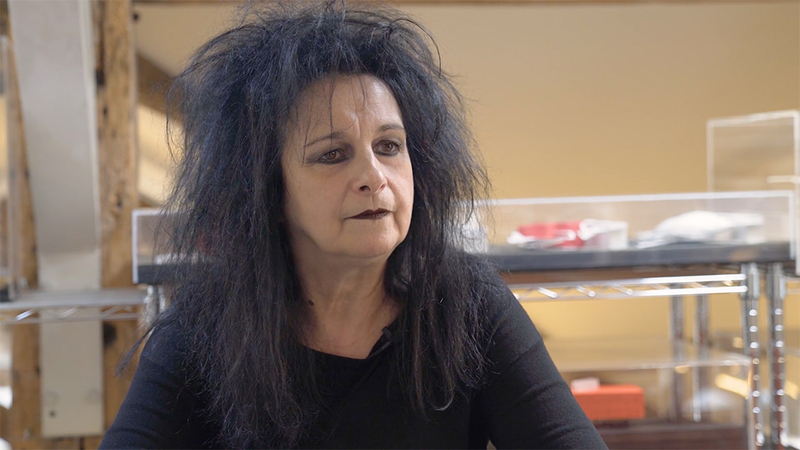 How can scarcity lead to abundance?” Ramos goes on to say, “We've had a lot of really great photographers and illustrators who like the work we're doing and have been really keen on collaborating with us. I think that's one of the things that makes this magazine special, that it's really bringing creatives together to deliver a really special product that doesn't quite look like any other architecture magazine out there. Yes, it's a magazine for architecture lovers, but it's also accessible, wide in its range of content and editorially and visually curated.” Current and past LOBBY issues can be found on their website.